Open to adults (kids age 14) of all belt ranks. Students will learn the techniques of Robson Moura. The uniform or GI is used in the application of Jiu-Jitsu techniques such as throws, chokes and various locks. Training with the GI helps enforce the self-defense aspects of the martial art, in that students will learn how to use their opponents clothing against them in a combat situation. Come Experience the best in Brazilian Jiu-Jitsu Gi training. Jeff Mitchell will teach you his proven techniques through the years of experience. Join us today for 2 free sessions to try it out for your self. Elite Brazilian Jiu-Jitsu Academy combines the positive mental and physical aspects of Martial arts with fun and enjoyable ground techniques of Brazilian Jiu-Jitsu . In our fun, safe and fresh environment, children learn effective self-defense techniques in a controlled manner. Our children’s classes are geared for ages 4-13 who want to benefit from the discipline and confidence learning Jiu-Jitsu can provide. Students are paired up when possible with others of their size and ability to ensure a safe and enjoyable experience for everyone. These classes aim to make Jiu-Jitsu fun and the drills and activities during the classes are free-form so that they do not become routine and boring. This class builds upon the fundamentals of Jiu-Jitsu and adds kicking, punching and other striking elements. By taking this class you will learn the essential elements of fighting on your feet, on the ground and the areas in between! You will learn when the use of certain techniques is appropriate by being put in different fighting positions. This is a very “hands on” learning environment. Students are required to use Elite Jiu-Jitsu approved Headgear, shin-protectors, mouth-guards and gloves in order to take the MMA Striking classes. Submission wrestling is an application of Jiu-Jitsu without the GI. The same basic techniques are used, but students will learn variations that make them work when there is no GI present. Submission wrestling as taught by Jeff Mitchell is great training for all collegiate style wrestlers. You will learn ways to effectively control your opponents and use Jiu-Jitsu techniques for escapes and leverage that will take your wrestling game to the next level. Note: For safety, submission wrestling participants are required to wear Elite Jiu-Jitsu approved grappling shorts and shirts..
At Elite BJJ our goal is to provide a safe, clean, enjoyable environment where our students can learn the “ring tested” techniques of Master Robson Moura. We view all of our members as part of the Elite BJJ team and encourage members to support each other both in class and outside the academy. BJJ is a martial art and combat sport that focuses on grappling and especially ground fighting with the goal of gaining a dominant position from which to force an attacker to submit. Brazilian Jiu-Jitsu training allows a smaller person using leverage and proper technique to defend themselves against a larger, stronger assailant. It is for many of these reasons that Jiu-Jitsu proves to be an effective system for self-defense. 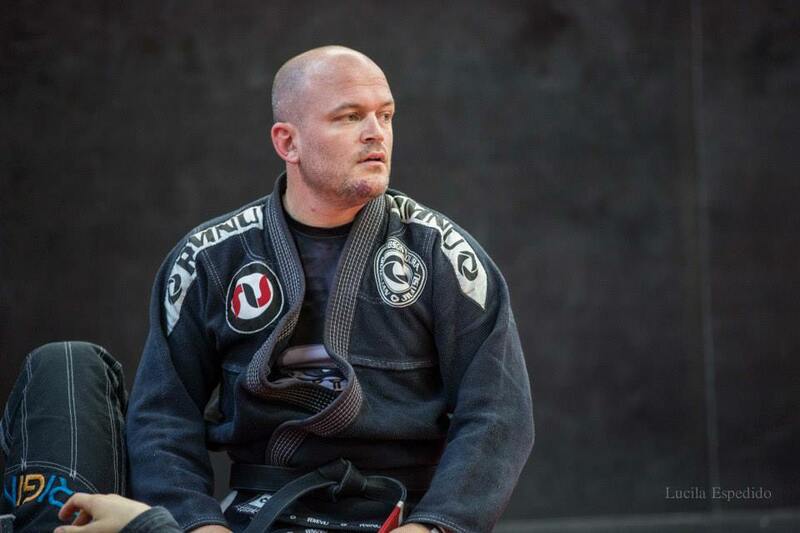 Mitchell is a lead instructor at Elite Jiu Jitsu and is the 2nd American Black Belt under famed 8X World Champion Robson Moura. With 15+ years of experience, Jeff Mitchell has an excellent teaching style. 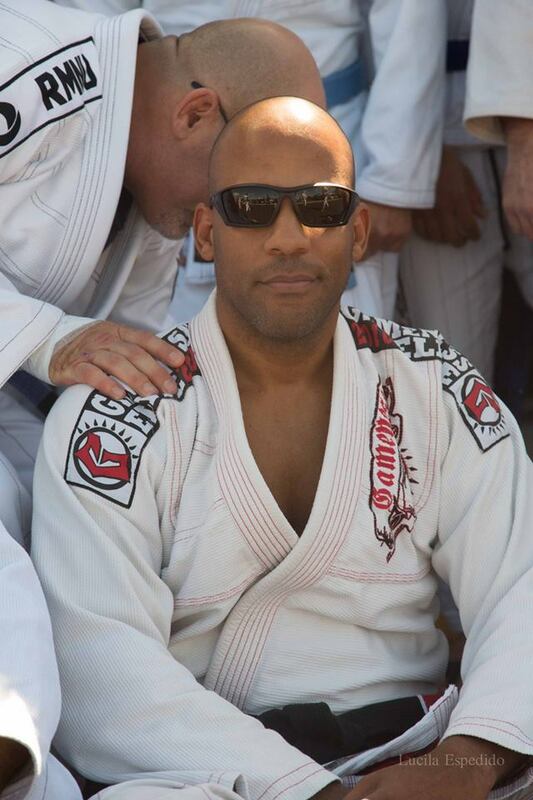 Time after time, students describe him as an approachable but highly fluid and technical Jiu Jitsu instructor. His relaxed style and strict attention to detail is what draws students to his classes. Adults and Children alike enjoy Jeff’s classes. 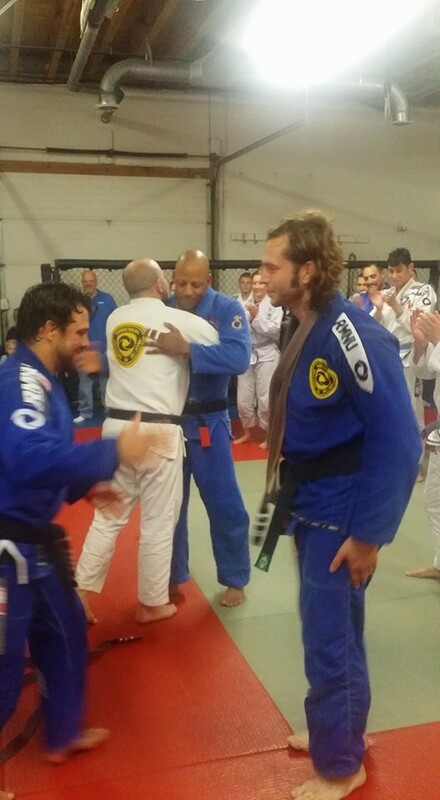 He also offers private, one-on-one classes to help MMA & BJJ students take their game to the next Level. We are so proud to have Jeff Mitchell at Elite! One of the lead instructors of the RMNU association. Sought after through out the world, Jeff has Traveled to Canada, Alaska, Ireland, and Nova Scotia to give seminars. Home grown individuals that have been honing their craft under the tutelage of Jeff Mitchell. A group of Purple belts that assist in helping others become better competitors and also better students. What they learn, you learn; What they know, you will know. They are here to make the atmosphere the best it can be, and also have fun doing it. Monsters in their own right, often tested and imitated but not once ever duplicated. The elite armada is harder than you think. You dont apply for this, you are chosen! If you would like to purchase any Official RMNU Gear, All is supplied through the RMNU Store. We are easy to find on Main Street in Newark! Directly behind Fusion Fitness and part of Market East Plaza. Just turn right into the parking lot at the third light (Tyre Ave.) on Main Street. The first light is the major intersection of 273 & Kirkwood Highway – also known as the intersection of Ogletown Road & Library Avenue.